Where to even start with Dinner No. 9? There is a lot I could say, but I'm going to *try* my best to keep this brief. Today's post is more personal than normal. I never intended for this dinner to be what it was, but as you have probably all experienced, life has a way of taking turns. Dinner No. 9 was originally going to be in May. I'd announced the date, we'd received so many incredible applications, and I'd started working on a color palette and theme to get things going. We even had a scenic location. But something in me couldn't dive into the planning like I normally do. Every attempt I would make to sit down at my computer, it's like my heart would shut off and I couldn't do it. Something in me was saying that the timing for Dinner No. 9 wasn't right. At the end of March, I unexpectedly entered into the hardest season of my life yet. I don't think I'm anywhere close from being out of it, but I'm so thankful to say that I feel like I can breathe now. There may be a day where I share more about that, but for today, I'm reserving the details for those closest to me. Needless to say, Dinner No. 9 (as planned) was not going to be happening. The little motivation I had to work on it completely vanished, and the small amount of energy I had needed to be refocused on myself, health, and loved ones. So I sent out an apologetic email to all the beautiful souls who applied (thank you again to each of you who did) and cancelled the dinner, even though it crushed me to do so. The next few months were spent doing all of the things listed above. I slowly started to feel ok more days than not, and the desire to get a new date on the calendar for Dinner No. 9 grew out of the ashes. I didn't know if this was going to be the dinner that helped me get back on the Create Dinners horse or if this was going to be the last Create Dinners ever, so I did something that I haven't done since Dinner No. 1 and reached out to my dearest friends to see if they would bring their creative offerings and make Dinner No. 9 finally happen. If this was going to be the last dinner, I wanted it to be with the people I love more than anything. The women who'd walked with me through the darkness. Thankfully, they were all on board. The planning started, and I decided to build off of our original theme: The 1950s. However, I gave it a new name, reflecting upon the previous months... an acknowledgement of the Light that can shine through and give hope even when the world as you know it has been flipped upside down. I called this dinner "Life In Color". One thing I've learned in this season is that I can choose to wallow in sadness, which has been and still is totally needed some days, or I can choose to practice gratitude amongst the pain -- to recognize the goodness and blessings around me, and continually take steps forward. Even if they're the tiniest, baby steps. There were undoubtedly going to be days when my life would feel black and white, but on July 14th, I wanted it to be in bright, vibrant color. 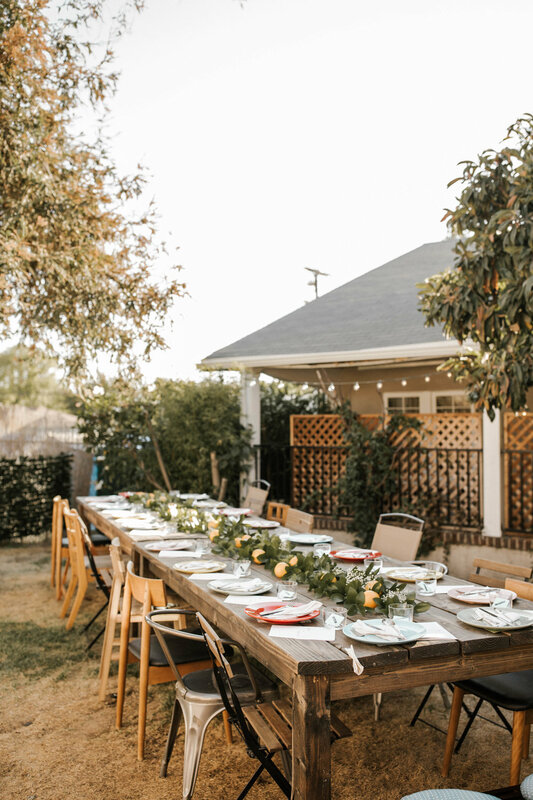 While we'd originally planned to have the dinner in Santa Paula at a breath-taking ranch, it became clear that Dinner No. 9 was supposed to be at my home. 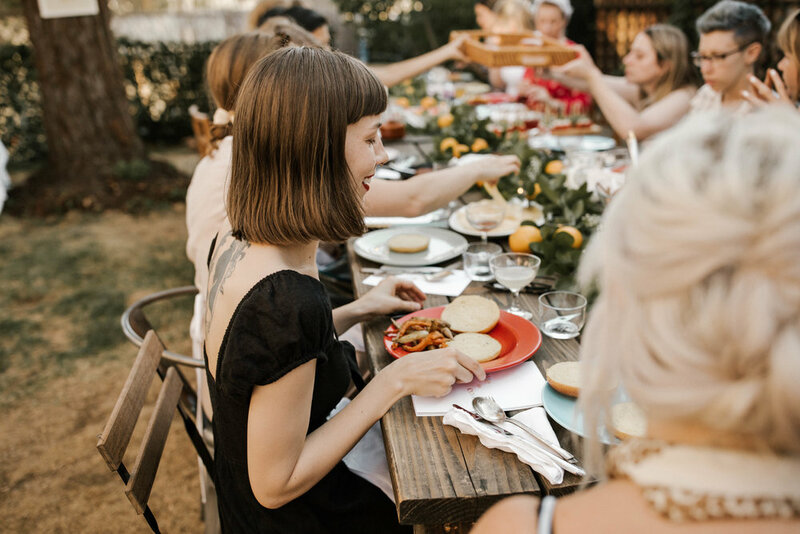 Because even though everyone brought a creative offering to the table, this dinner was about something so much more than a pretty tablescape and venue. It was about friendship. It was about keeping on. It was a thank you to my people for the countless ways they'd rallied around me and loved me / taken care of me so well when I couldn't really do either. I've said it to them before and I'll say it here again: thank you, thank you, thank you for the many ways you've been true friends. I can't believe I get to walk through this life with you all and love you guys so much. 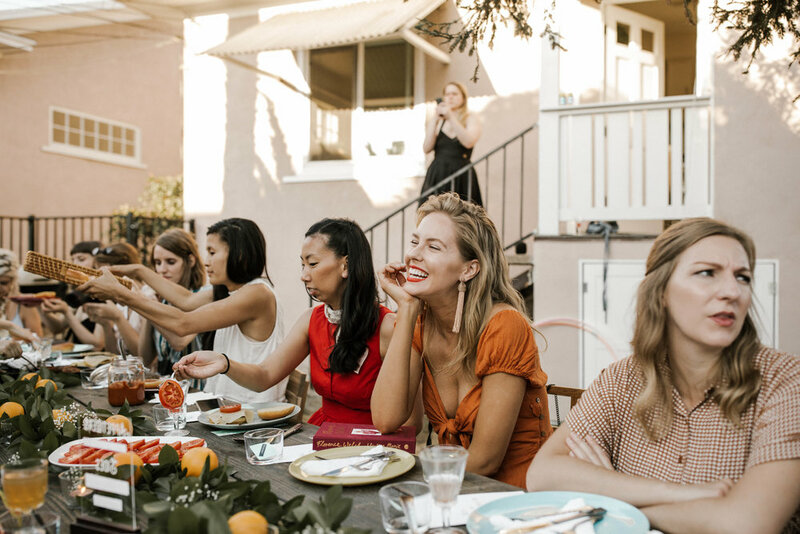 Pictures of these dinners often show a bunch of cute girls laughing around a beautifully decorated table. And in all honesty, that is often what you see when you're looking around at one of these events. But I want to call out something very important. This particular dinner was the result of brokenness. The beauty and joy wouldn't have come without a lot of pain preceding it. The photos may portray perfection (whatever "perfection" even means), but there were a lot of tears at this dinner. And I'm not sure that the tears were any less beautiful than the smiles because they reminded us that we're all human. We're all going though this thing called life, trying to handle our messiness with grace and holding each other up along the way. There is a poem that I've read over and over as I've reflected upon Dinner No. 9. It's by a poet named Rupi Kaur. If you don't know her work, get to know it. It's so good for the soul. I'm so excited to share that this is not going to be the last Create Dinners. You can apply here now to join us at Dinner No. 10 on Saturday, October 27th in Los Angeles. Now for my favorite part of this post, the attendees line-up and the photos. Sofia Draco - The REAL DEAL Swedish chef. She made us an incredible burger and hand cut fries spread, the highlight being homemade ketchup with a citrus kick. I could eat Sofia's food for the rest of my life and be pretty dang happy. Elise Apffel - Elise has a gift unlike any other human when it comes to thrifting and vintage shopping. She and Katie shot a stunning look book and Elise curated an incredible 1950s wardrobe for us to "shop" from upon arrival. It really did feel like we had gone back in time when you looked around. Sally Apffel - Sally is one of my mentors. She's one of the wisest women I know. She's also mom to Elise and Kori, two of my favorite humans. She made our watermelon feta stackers appetizer at the dinner and wrote our conversation questions. Kori Webber - Kori came in from Detroit for this dinner! She created the appetizer with Sally and led everyone in DIY cocktail presentation. The final result? An orange cardamom and lemon rosemary shrub that you could mix with whiskey or gin. They were REAL tasty. Linsey Metcalf - Linsey flew in all the way from Austin to be here for this dinner. Her presence was her contribution, and truthfully, there was nothing better than that. She also makes really dope flags. Check them out! Kate Schweitzer - Kate was the final out-of-towner, who came in from Portland. She is my favorite other Kate in the whole wide world and it meant so much that she came to this dinner. 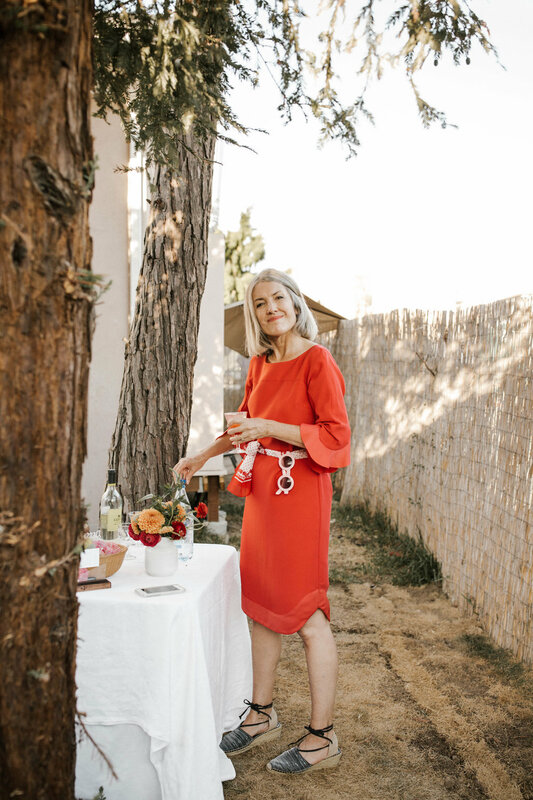 She casually has a photo booth in her home (jealous, I know) and has mastered taking photos in it, so she brought beautiful prints for everyone that she styled with florals and oranges. Kimberly Bozeman - Kimberly closed our night out with music. This was really meaningful for all of us to hear, as it was the first time in over 10 years that she's played her guitar and sang for an audience. I pray it's not the last time because it was so beautiful. Vanessa Magos - Vanessa, who I affectionately call "Novs", created a 1950s playlist for us to listen to throughout the night. This, combined with the clothing, really did throw us back about 60-70 years. This night wouldn't have been complete without her, my life's partner-in-crime, by my side. Holly Holland - If you saw our Dinner No. 9 story on Instagram that night, you can thank Holly. She took lovely photos and video all night to keep us socially savvy. And if you missed the story, fret not, and check out our highlights! Shirlee Fisher - Shirlee (and her cute baby girl bump!) handmade ceramic vases that we sprinkled around on different tables and inside by our wardrobe rack. As always, they were immaculate. She also designed and printed cards with lemons on them for us to take home. They're the cutest! Yvonne Darby - Yvonne created name placeholders for everyone's place setting and signs to tell us what yummy things we'd be eating. She and her MVP husband Chandler also brought the giant (and very heavy) tables that we ate off of. Kailey Howell - Kailey did the beautiful, sweet floral arrangements. She nailed the pops of color, bringing in bright oranges and reds that balanced out the blues and pinks and yellows down the table. She also did the amazing orange runner that went down the center of our table. 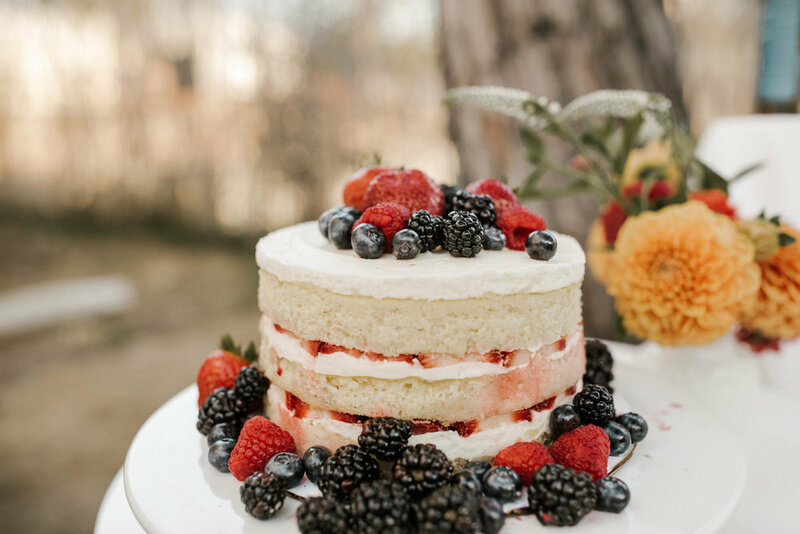 Hannah Montplaisir - Han had everyone drooling with a vanilla buttercream cake that she topped with fresh berries. She also made us take home cookies that she hand painted with edible watercolors. Also they were both gluten-free, but you'd never know that because they're so delicious! Kristin Violet - Kristin designed a really rad vintage-inspired poster for us with our theme LIFE IN COLOR on it. We nailed it to the redwood tree in my backyard and let it remind us that life truly was bright that night. 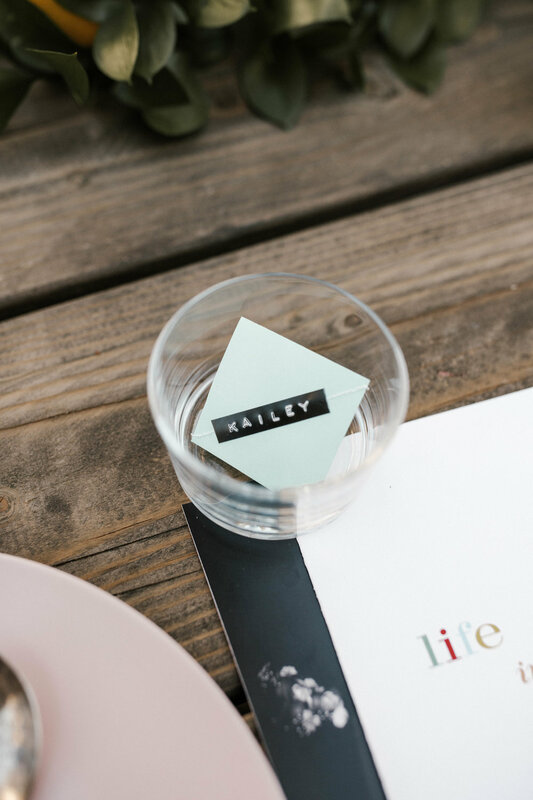 Amanda Tooley - Amanda designed our menu, pulling in retro fonts and themes. 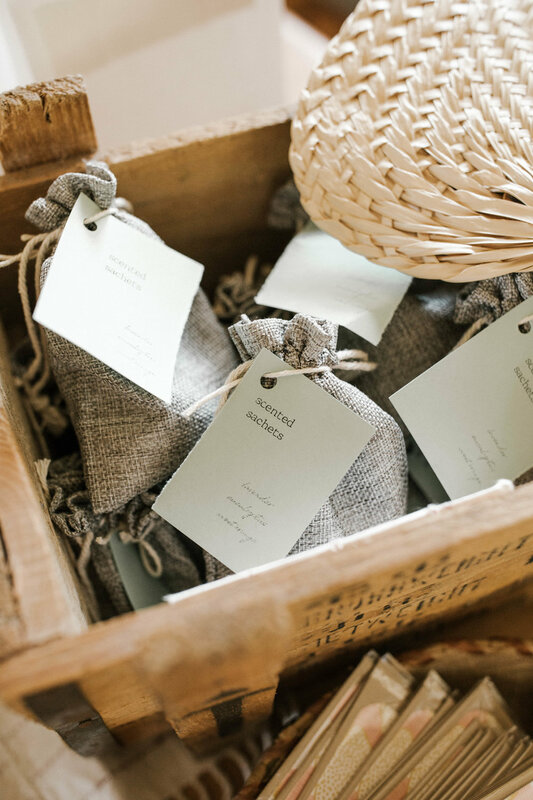 She also made everyone little lavender sachets to throw into our dressers so our clothes smell like a magical garden. I've been loving mine the last month! Jordan Raines - J wrote an iiiincredible poem that she shared with us before we said our goodbyes. It was vulnerable and raw and something really special. Kate Edwards - I hosted and, per usual, took some of the photos you'll see below. The more colorful images are Katie's. The more desaturated ones belong to yours truly.